Reaching the 13th year of existence, COC Training Camps will again offer an excellent opportunity to have orienteering training during the winter. This has been an advantage already used by some of the best orienteers all over the world. Over 3.000 athletes have witnessed the technical quality of our training camps which offers accommodation close to the training areas, technical quality of the challenging sand dune terrain, excellence in attending and great organization professionalism, confirmed by the satisfaction feeling of the athletes that visited us. 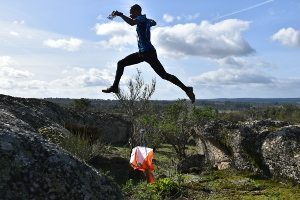 In 2016, the Portugal Orienteering Meeting (POM), with one WRE race, was organized by COC in Penamacor, adding the first maps in a rocky and mountain terrain to the training camps. In 2015, the XVII RA4 GPO revealed a new map of the small beach town of São Pedro de Moel with both urban and forest in the same map. In 2013, XIV MOC WRE was organized by COC bringing a new map, called “Osso da Baleia”, for the Training Camps. In 2012, XIII MOC WRE was organized by COC bringing a new map, called “Dunas da Rainha”, for the Training Camps. 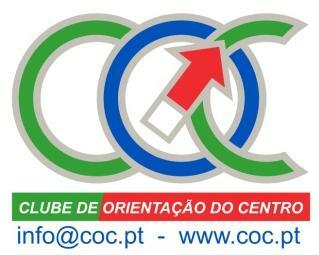 In 2010, POM 2010 and XVI Latin Cup/XVIII Iberian championship were organized by COC. In 2008, Portugal held the WMOC 2008, which received great eulogy by the participants. Altogether the maps of the training camps cover 150 km2 and more than 800 control points, representing the strong commitment of COC to offer every year new maps and new courses. The COC training camps have 38 different training in terrains near the coast, with dunes and microrelief, and in steep terrains with rocks. 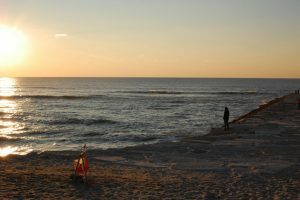 The last ones, located in Penamacor, bring new technical challenges to the COC training camps which were until now only composed by courses near the coast. Maps near the coast include Praia das Paredes, São Pedro de Moel, Pedreanes, Dunas da Rainha, Praia da Vieira, Praia do Pedrógão, Lagoa da Ervedeira, Leirosa and Quiaios. In Penamacor, we have maps of Anascer, Ramalhão, Memória, Rachã and Serrinha. COC training camps have also five sprint maps near the coast and two sprint maps in Penamacor. All the trainings were carefully planned taking advantage of our most challenging areas thinking in you. The courses are prepared with permanent controls. Every year we have news for you, new maps, new courses, and 2018 will not be an exception. 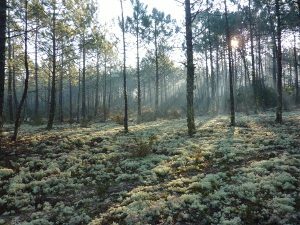 We invite you to come for winter training on our terrains and confirm for yourselves the technical quality of the maps, with the possibility of taking advantage of the three consecutive WRE events in 3-4 of February, 10-13 of February and 17-18 of February 2018 held in Portugal. The Training Camps will be available from 6 January to 30 April, 2018.